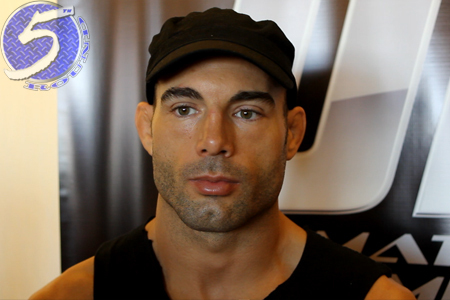 And the winners are: Mike Swick (Pictured) and Matt Brown. While most fanboys have been impatiently waiting to see which scrap would be the final fight to make it on “UFC on FOX: Henderson vs. Diaz’s” main card, the UFC nonchalantly announced the welterweight affair earned the nod in a simple tweet Thursday morning. Why not? The last time Swick performed on primetime television, his opponent was found unconscious on the canvas after trying to use his face to block Swick’s vicious strikes (Please See: DaMarques Johnson). A lightweight title affair between champion Benson Henderson and Nate Diaz headlines one of 2012’s most star-studded lineups. Former light heavyweight champ Mauricio “Shogun” Rua and Alexander Gustafsson serve as the night’s co-featured attraction. BJ Penn and Rory MacDonald round out the main card. Key Arena in Washington hosts the December 8th festivities. FUEL TV kicks things off by airing the prelims at 5PM ET/2PM PT. FOX then broadcasts the main bouts live beginning at 8PM ET/5PM PT.